In 2014, he reiterated that he would repeat the act hundred times if in given the opportunity again. Meanwhile Former President Kufuor has urged Vodafone Ghana to list on the Ghana Stock Exchange to allow Ghanaians own part of the company. 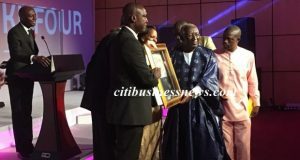 The post ‘I feel like a prophet, 10 years after Ghana Telecom sale – Kufuor appeared first on Citi Newsroom.